Here we’re all about fun, cute and cool bathroom decor and accessories! We believe the bathroom can be a place where you get permission to splash your unique personality all over! 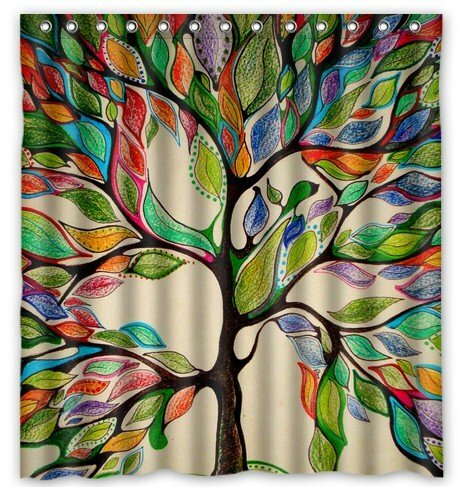 From your shower curtain, to your toilet seat, bath rugs, toothbrush holders, waste basket, storage bins, towels, even the walls! Going to the bathroom should put a smile on your face every single time! Whether you love the beach, Paris, Italy, monkeys, zebras, elephants, polka-dots, hearts, sports or rainbows, we have just the accessories to jazz up your bathroom and reflect your passions! So go ahead, let your uniqueness shine… in your bathroom! How cool, fun and unique, not to mention creative, is this piano keys design bath rug? Will definitely make everyone smile and immediately want to play music when they set their feet on those piano keys! This design features a photo of a real piano keyboard, under light. That’s why the colors are not ‘even’, for a more realistic effect. *Look for the matching piano keys shower curtain and create a cool ‘music theme’ bathroom! Distinctive graffiti design trash bin for your bathroom! 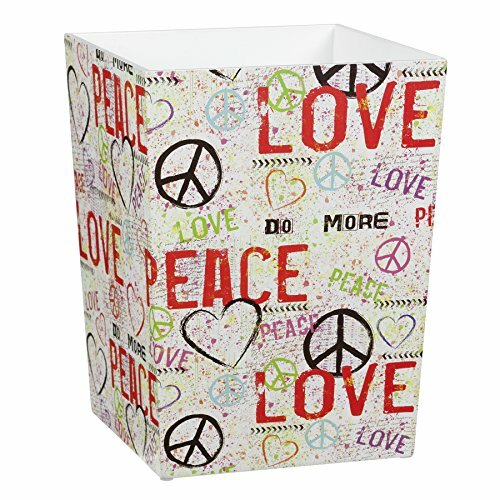 This stylish rectangular basket is made of wood and features graffiti style writing, hearts and peace signs. Put it next to your toilet and its positive vibes will likely maybe prompt anyone to replace that empty roll of toilet paper. 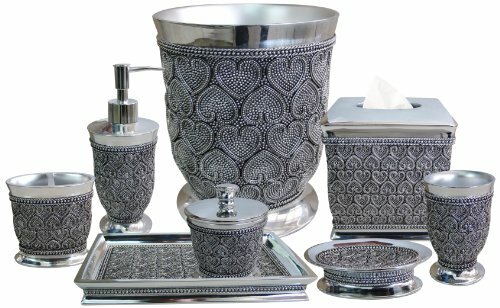 If you are looking to create an amazing heart themed bathroom, then this awesome beaded hearts accessory set might be for you! I love this gorgeous silver look and texture! 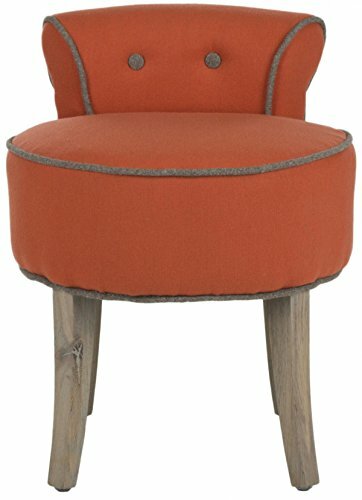 Will definitely get you lots of compliments from your guests! The pieces are nice and heavy! 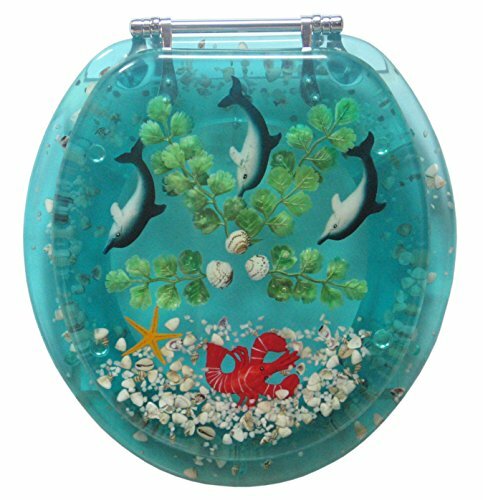 Bring the ocean to your bathroom! Cool bathrooms have cool vanity stools! They are not only very elegant to have in a medium-sized or large bathroom, but also very handy! Oh yes, they are also super comfy! Well, we’re glad you found our bathroom! Take a look around. We hope these pages will help you find just the right accessory or decor for your cool bathroom!